When you leave a comment on THIS post by 6 p.m. CT Sunday, June 15, 2014 you'll be entered in the DRAWING for a copy of the book below. If you mention in your comment that you’re a follower (see in the left column “Join This Site” and “Follow by Email”), I'll add your name a second time in the drawing. You must have a U.S. mailing address to receive a paper book. You can read details about my book giveaways at Disclaimers. Our guest blogger is Nivine Richie. 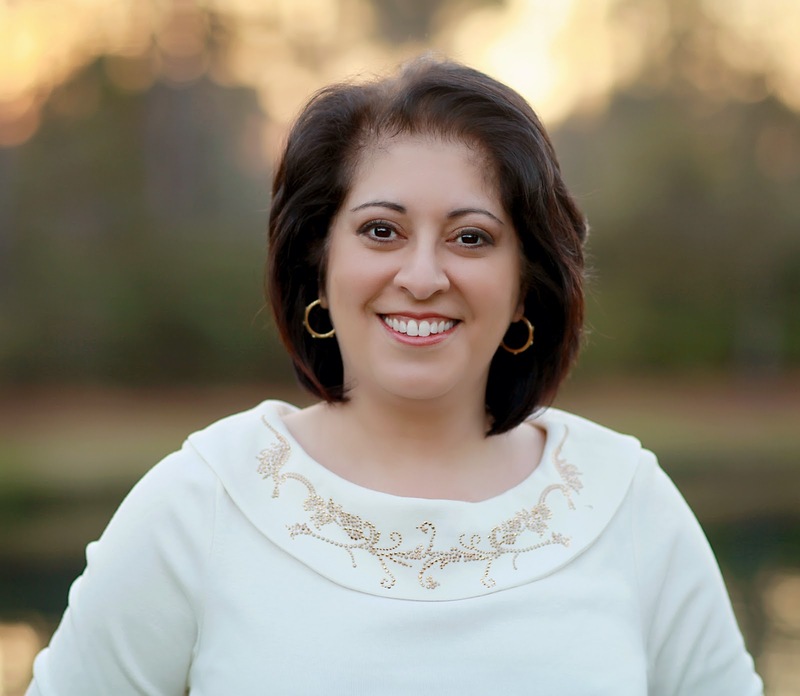 Nivine is a women’s Bible study teacher in Wilmington, N.C., where she lives with her husband and two teenage children. A university finance professor, she is actively involved in the Christian faculty association on campus. She’s participated in and taught countless small group studies over the years, and is eager to see women grow in their faith. She loves libraries, museums, and outdoor cafes. I was born in Cairo, Egypt a few months before the Six Day War, and my parents and I immigrated to the U.S. when I was 2 years old. Deborah in the Old Testament. Like me, she was a professional woman in a man’s world. She was in a position of leadership, and she seemed to handle it with dignity and wisdom. I could learn a lot from her experience. 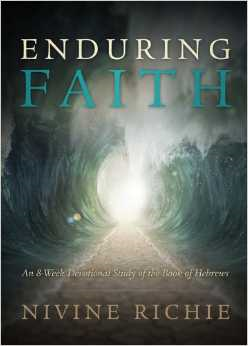 Please tell us about Enduring Faith: An 8-Week Devotional Study of the Book of Hebrews. This eight-week Bible study delivers a balance of in-depth study and manageable homework. Written in a devotional style with real-life examples to connect you with the lessons in Hebrews, each day’s study is paired with discussion questions and space for journaling. This book can be used for small-group or for personal Bible study. Is your faith on a firm foundation or are you standing on shaky ground? By the end of this study, you can know the kind of faith that pleases God. I would love the opportunity to help you launch a small group study of your own by offering a training seminar for teachers at your church or by speaking at your next women’s retreat. Please feel free to contact me if I can encourage you in this way. Nivine, thank you for visiting with my readers and me. One commenter on this blog post will win a copy of your book, which you graciously offered. Remember: leave a comment on THIS post by 6 p.m. CT Sunday, June 15, 2014 and you'll be entered in the drawing for a copy of Enduring Faith: An 8-Week Devotional Study of the Book of Hebrews by Nivine Richie. Please, please remember to leave your email address. I'll need your email address so that should you be the winner I can get in touch with you. I'll announce the winner in next Thursday’s blog. MANY ARE FORGETTING TO LEAVE THEIR EMAIL ADDRESS. DID YOU LEAVE YOURS? I would love to own a copy of Nivine's book, Enduring Faith. Aids that contribute in studying God's word are a plus in my book. Thank you for the opportunity. Melanie, You're so welcome. Thanks for coming by and leaving your coment. Ann, I enjoy helping authors promote their books. Thanks for being a follower and leaving your comment.